* fdb.schema submodule extended with support for user privileges. * fdb.services.User.load_information() method to load information about user from server. * fdb.ibase content cleanup and additions. * fdb.blr submodule with BLR definitions. * PYFB-37 – Unicode Strings incorrect not allowed for insertion into BLOB SubType 1. And as always, some bugs fixed. 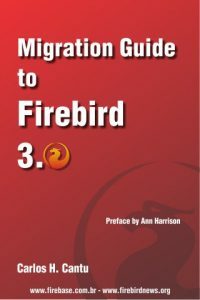 Main target for next version: support for Firebird Events. Note: I’m really glad that Philippe joined the FDB team, especially to look after Python 3 support (but not only that). Thanks! He implemented firebird services api for Python 3 driver, this driver version doesn’t work yet for Python 2, and it is only the first step. The new driver fdb is branched in github for Python 3.x (work in progress). You can check the progress by following this thread on firebird-python list and here is another one.